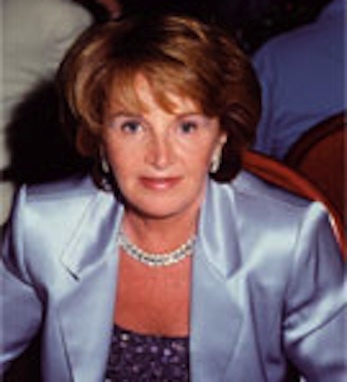 Gertrude Byrne, a native of Cong, Co. Mayo, is the founder of Gertrude Byrne Promotions, a Leeds, NY-based business responsible for organizing a variety of Irish cultural and music events in both the New York State area and the high seas. Byrne emigrated from Ireland to New York City in the late 1960s, eventually settling in Leeds with her family. Through Gertrude Byrne Promotions, she is responsible for such cultural events as The Irish Christmas Musical Fair at the Meadowlands and The Medieval Irish Festival at the Garden State Exhibit Center. For nearly 25 years, Gertrude Byrne Promotions has organized an Irish-themed cruise sailing out of New York City to ports in the Caribbean and the Mediterranean and featuring some of Ireland’s top entertainers. In celebration of 25 years of the cruise, next year’s cruise to the Caribbean will top them all, with Irish superstar Daniel O’Donnell headlining the cruise.